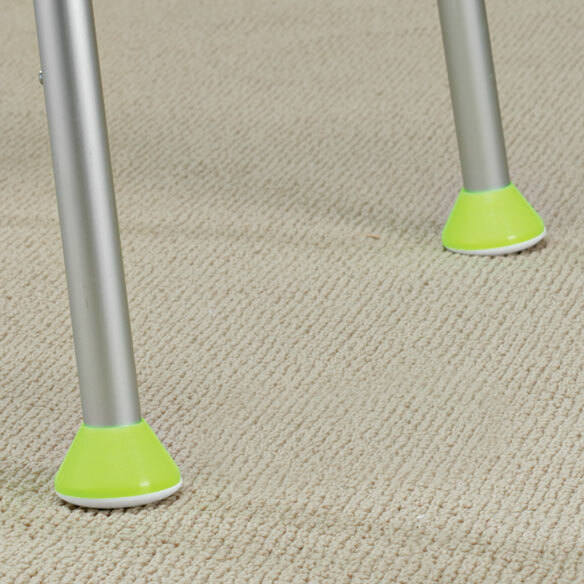 Easy-to-use walker coasters help your walker slide smoothly in all directions, gliding over concrete, carpet, tile or linoleum. Walker glides help you easily maneuver over bumps or cracks in sidewalks and doorways. Made from bright yellow durable plastic, these glide caps are highly visible, making it easy to find your footing and avoid tripping or stumbling. Simply slip the walker coasters over walker legs; unique O-ring holds coasters securely in place. Set of 2; each, 2 1/2"dia. Fits standard 1" walker tubing. This product prevents pulling up or folding over mats when sliding your walker over them. I HAVE USED SEVERAL SETS OF THESE ON MY WALKER. THE LAST SET FINALLY FELL APART AFTER 15 MONTHS. These walker coasters help you to glide over many different surfaces like carpets and hard flooring and are so easy to just pop on. Have used these for years and just love them. husband uses walker. Old coasters are very worn. My walker does not have glides or any other thing on the rear legs to make it slide easier. Had these previously. Great on hardwood floors, carpet, & tile. 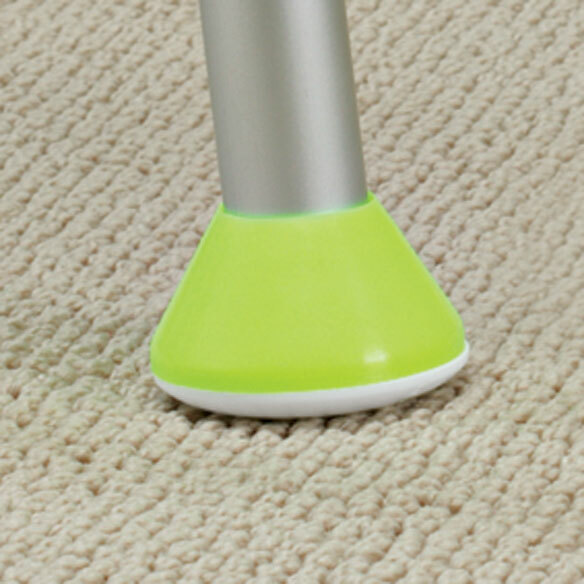 Prevents scratches on floors and makes walker glide more smoothly. need something for in house. My Mom and husband both have felt much safer and found it easier to get around with their walkers. I am disabled uses a walker and it helps glides over the carpet and side walks. nice alternative to tennis balls---these far outlasted the tennis balls, too. Wanted to try something versus the tennis balls for a change. I believe the price was good and I believe they should work well for my mother inlaw. JUST BOUGHT A WALKER THAT HAD NOTHING TO HELP IT GLIDE ACROSS FLOORS OR CONCRETE! Saw how well they worked on a friend's walker. so ordered sets for my husband and my walker. They work so well with my walker. TENNIS BALL STYLE DOES NOT HOLD UP WHEN I USE IT ON SIDEWALK. My husband has these on first walker. Asked me to get for his 2nd walker. I have purchased these walker coasters before. They are durable and last a long time. Have had these in the past and work very well on all surfaces. Purchased for a 102 year old lady who has recently needed the aid of a walker. Wanted item that would move smoothly over the ground indoor and outside. My aunt loves these for her walker, so I like to ensure she has an adequate supply! Saw a friend with them. For smoother glide of walker. I saw someone have these. I want to get them for my dad. No more balls for him. Hard to find these locally. Out of ones I wanted so ordered these. Have had before and they wear well. BEST ANSWER: They usually last about 5-6 months for my Mom, sometimes longer.. My Mom really likes them. we had tried the tennis balls, ski like glides and are much happier with these. We have used these several years and we use them for my husband as well. They usually do not get caught on the various floor mats in businesses, and that helps make outings much safer and less stressful. Definitely recommend these.